At the height of the Cold War an intelligence chief was given a mission to have the Mafia assassinate Fidel Castro, a new book reveals. Handsome Johnny Roselli was the mobster in charge of running the Mafia's casinos in Las Vegas and Havana. But in 1959, after his ascendancy in the revolution, Fidel Castro called an end to gambling on the island. Roselli was a high-ranking officer from Al Capone's Chicago Outfit who also worked in Hollywood, according to The New York Post. An FBI and CIA man called Robert Maheu was enlisted to approach the Chicago Outfit who leapt at the opportunity, the new book reveals. 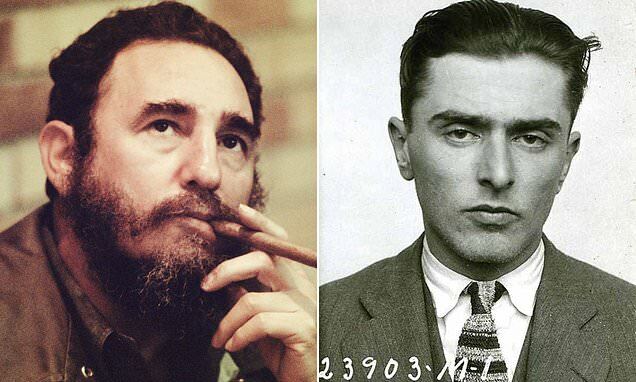 Not only were they keen to take out Castro, but they believed they were doing the government a favor for which they would forever be indebted to the Mafia. Server writes that Roselli turned down $150,000 in blood money, saying he would have Castro killed out of patriotism - he was a WWII veteran. He outlines how the CIA and Mafia heads met in Miami to finalize the details.